BMW R 1200 GS TE rental from RoadTrip in Woking, Surrey , UK. The BMW R1200 GS series with its boxer engine and shaft drive is the iconic benchmark touring enduro motorcycle. All other adventure touring bikes are compared to this one. The RoadTrip fleet of R 1200 GS TE motorbikes for hire is the largest and most modern in the U.K. Our machines are all top specifiaction variants with full electronic suspension, riding modes and Gearshift Assist Pro., which enables smooth, clutch-less gear changes up and down the six-speed transmission. These are ideal machines if you are planning to put some miles on the clock; they are reliable, versatile, comfortable and stylish. 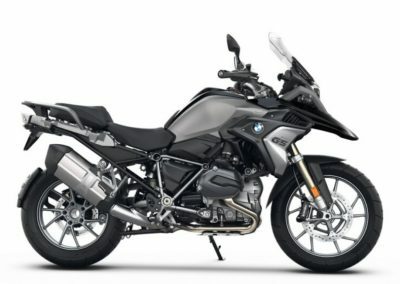 The R 1200 GS reputation and spec. Since the GS launched in 1980, it has defined and led the adventure touring market. The GS has proved to be the trusty steed on many a motorcycle adventure. 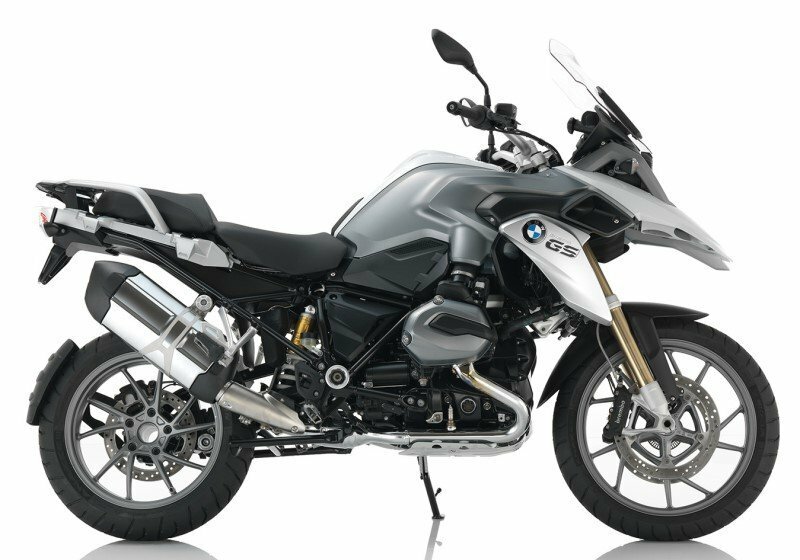 The R1200 GS is powered by BMW’s liquid cooled boxer, twin cylinder engine, which develops 125bhp at 7,750 rpm. Cooling is increased by the cylinder design, which channels airflow vertically around the case. Power is shaft driven to the back wheel via the six-speed gearbox. ABS braking is fitted as standard on all BMWs. The R 1200 GS is powerful, agile and comfortable to ride in all conditions. Dynamic electronic suspension adjustment and traction control plus 4 electronic riding modes and on-board computer manage the ride. Also included are tyre pressure sensors, cruise control, heated handlebar grips, adjustable seat and screen, and LED lights. Low seats can be fitted to any of these bikes. Our R 1200 GS hire motorcycles are also equipped with engine protection bars and BMW’s Gearshift Assist Pro. The RoadTrip bikes are finished in BMW’s Alpine white and black storm metallic. 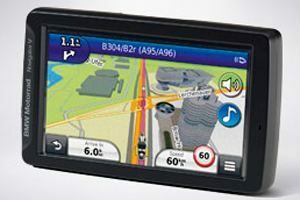 BMW Navigator SatNav. 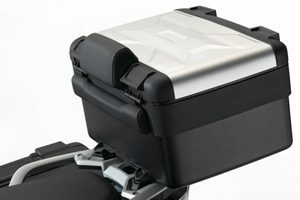 and BMW’s matched ‘Vario’ panniers (50-70 l.) and top case (25-35l.) luggage complete with liner bags are available with each bike. R 1200 GS ‘Vario’ expandable pannier sets by BMW. Key locked and key matched to these motorcycles. Black plastic cases with new-design aluminium inserts in the case lids. Easily removed. Carry handles. Bow-shaped bar mechanism for easy change of capacity: right: 30-39 l. left: 20-29 l. Maximum payload per case: 10 kg. Liner bags supplied. 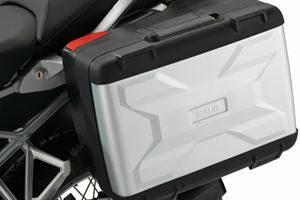 R1200 GS ‘Vario’ Topcase by BMW. Key locked and matched to this motorcycle. Black plastic topcase with new-design aluminium insert in the lid. Comfortable passenger backpad. Carry Handle. Bow-shaped bar mechanism for easy change of capacity: 25-35 litre. Maximum payload 5 kg. Liner bags supplied. SatNav: BMW Navigator V with up-to-date European mapping is available to hire with this motorcycle. Additional Features included Gearshift Assist Pro., dynamic traction control, dynamic electronic suspension, LED lights, tyre pressure control, engine protection bars, heated grips, hand guards, 4 riding modes, on board Computer Pro.